Howard Shaffer’s interest in photography, art and photojournalism spans decades. During his graduate training, Shaffer worked as a freelance photographer. His success caused considerable self-reflection about his eventual career path. Ultimately, he chose a career in mental health research and treatment. Having accomplished career goals in science and academic health care (including hundreds of scholarly publications, books, and approximately 120 newspaper columns that were written for the Boston Herald), Dr. Shaffer now seeks to have a broader and more emotional impact on mental health issues in general and the addictions in particular. Howard Shaffer intends to accomplish this goal by integrating his knowledge as a clinician, scientist, and scholar with his skills as a photographer and photojournalist. During his formative years as a photographer, W. Eugene Smith, Ansel Adams, and Henri Cartier Bresson profoundly influenced Howard Shaffer's work. These men changed how he viewed and experienced the world; they influenced how he captures and prints photographic images. While Ansel Adams influenced his darkroom and exposure techniques and Cartier-Bresson his “street” photography vision and timing, Eugene Smith had the most powerful influence. Smith’s work stimulated Shaffer's interest in telling important stories with photographs that had both the impact of emotion and the power of art. Smith’s work taught Shaffer the importance of technical excellence when making and printing photographs, as well as the centrality of emotional authenticity in capturing images. 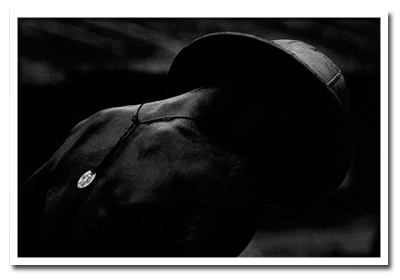 Photographs with emotional impact are memorable; fine art photography is intellectually seductive and sustaining. Emotional and intellectual dimensions shape attitudes and beliefs at conscious and unconscious levels. In Shaffer’s early career as a photographer, he completed a variety of photo essays. Among these were two notable series: the 5th Street Gym (training ground for Muhammad Ali) and migrant farm workers in South Miami. The essays of Eugene Smith inspired these works. Howard J. Shaffer; Miami's 5th St Gym, circa 1973. Permanent Collection, International Boxing Hall of Fame. Smithsonian National Museum of African American History and Culture, Making a Way Out of No Way exhibition (2016). 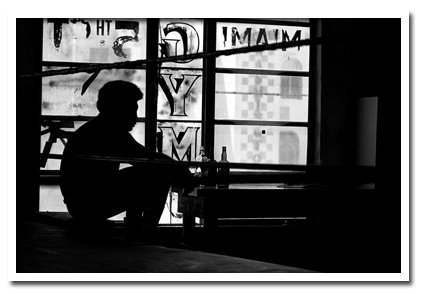 Unidentified middleweight fighter in silhouette at the 5th Street Gym, Miami Florida c. 1973. After earning his doctoral degree in psychology in 1974, Howard Shaffer “retired” from photography to pursue an academic and clinical career. Unfortunately, in the decades since his earlier exhibits and competitions, many of his photographs and records have been lost. However, among Shaffer's notable experiences were receiving blue ribbon Best in Show awards at two of the country’s most distinguished arts festivals: In 1974, Shaffer’s photographs were awarded Best in Show ribbons at the Gasparilla Festival of the Arts, in Tampa Florida, and the Coconut Grove Festival of the Arts, in Coconut Grove Florida. During this time, he also earned awards in many other art shows (circa 1972-1974), always with a different photograph. Following his award at the Gasparilla Festival of the Arts in 1974, Charles Benbow, the St. Petersburg Times art writer, noted that Shaffer was “among Florida’s artists who continually seek the ultimate personal statement.” In addition to winning regional art competitions, Shaffer’s work has been featured in exhibitions held at Gallery 5 and Kendall Galleries in the greater Miami area. During the early 1970s, Shaffer worked on a variety of special assignments often with one of his photography mentors, Marvin Bloom, then a Miami Herald photographer. These assignments included work for the Miami Herald, the Associated Press, United Press International, United Jewish Appeal, Burger King, Design Collaborative and Photographic Services. 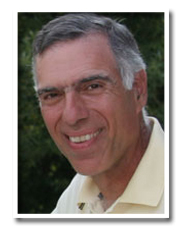 To read more about Dr. Shaffer's academic career, click here. To visit Howard Shaffer's photography web site, click here.